The kinetic energy of air masses of the earth consists of a power of about 3,000 TW. 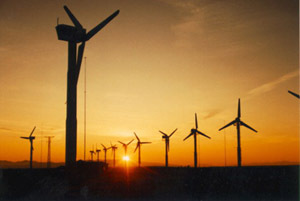 The share of electricity from wind energy is rising continuously. The reliability of a wind turbine mainly depends on the used hydraulic system. In addition to security and reliability, aspects we focused on the availability and performance. Our intelligent optimization of position control provides your turbine a new dimension of accuracy and safety. The flexible and modular hydraulic system of Hydro Space allows you to configure easily the needed functions and options of your Machine. Contact us if you need custom hydraulic systems for wind turbines.